Many Venezuelans Who Fled Are Eager To Oust Nicolás Maduro Tensions are building at Colombia's border with Venezuela, where former Venezuelan forces and migrants are taking refuge. Many are eager for a revolution back home. 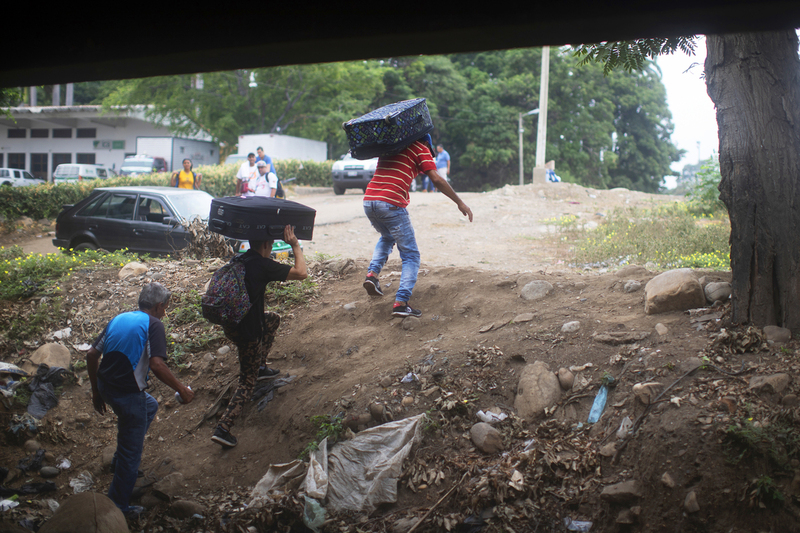 Young men carry luggage from Venezuela into Colombia under the Simón Bolívar International Bridge. Tensions are rising in this border area, where many Venezuelans are seeking refuge and are anxious for change back home. 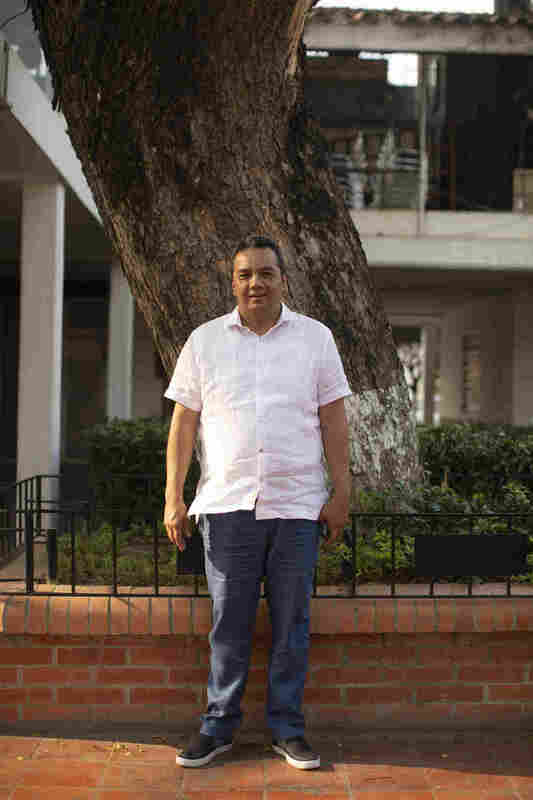 Former Venezuelan special forces official Williams Cancino in a park in the Colombian town of Villa del Rosario, near a hotel where others like him are being sheltered by the Colombian authorities. He says he is waiting for an order to launch a revolution back home. He is with three fellow Venezuelans who deserted the security forces of the crisis-stricken country and turned over their guns to the Colombian authorities. He says he has no weapons, no money and no organized rebellion, but he shares a growing frustration with many of the millions of Venezuelans now taking refuge abroad. People walk into Colombia through an illegal crossing near the Simón Bolívar bridge. 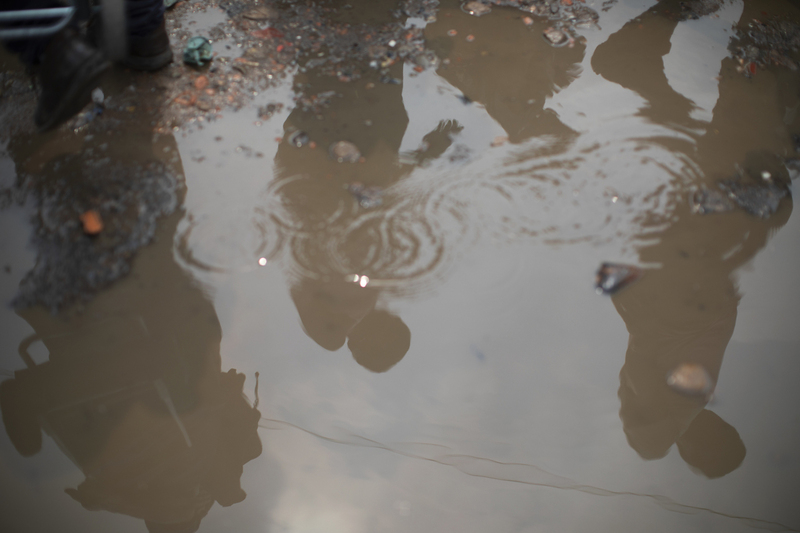 Medics wait at the Colombian side of the bridge to assist with health needs. 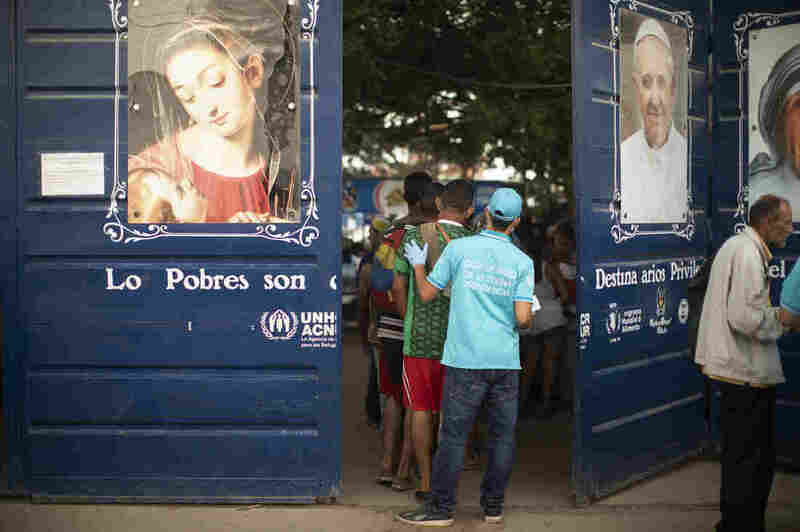 Pent-up anger and despair are leading some of those who fled to Colombia's border zone to see violence as the way to break the political stalemate and humanitarian crisis back home. Many of them pledge support for U.S.-backed opposition leader Juan Guaidó in his quest to replace Maduro. On Wednesday, Guaidó announced the launch of "Operation Freedom," calling for supporters to mobilize in the streets on Saturday and to take "tactical action" on April 6. He did not specify what the action would entail. Analysts say it could mean another large demonstration — or even some form of violence. Officials across Latin America fear the prospect of armed conflict in Venezuela. It is a country with deep oil reserves where world powers have staked out rival sides in the tense standoff: The United States joins more than 50 other nations that recognize Guaidó as the country's legitimate leader; Maduro has support from countries including Russia, China and Iran. "Venezuela can become sort of a Syria," Francisco Santos, the Colombian ambassador to the U.S., recently told NPR's All Things Considered. He insisted there's still time for international pressure and sanctions to force out Maduro. But if that plan fails, "a Plan B would involve violence," he said. "I don't want the continent to have a Plan B option. I'm very scared of what might happen." U.S. Ambassador to Colombia Kevin Whitaker wants "strategic patience" in the region. In an NPR interview on Thursday in Bogotá, U.S. Ambassador to Colombia Kevin Whitaker said "strategic patience" is needed. "Even as frustrated as we are at the lack of immediate change on this, change will come." But in the Colombian border area, Venezuelan emigres' patience is wearing thin. 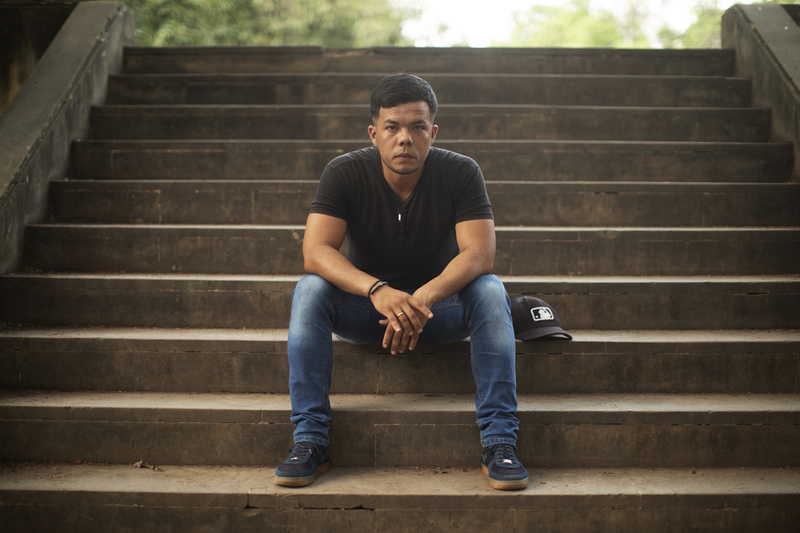 Roberto Andres Rondón Restrepo, 27, defected from the Venezuelan military and is now living in Colombia. He is one of the 1,000 Venezuelan forces who, since February, have fled Maduro's rule, crossed into Colombia and turned over their weapons and uniforms to the authorities, according to Colombia's Foreign Ministry. Cancino says he and more than 200 other former Venezuelan forces are cooped up in a hotel in Villa del Rosario. They are some of the 1,000 Venezuelan forces who, since February, have fled Maduro's rule, crossed into Colombia and turned over their weapons and uniforms to the authorities, according to Colombia's Foreign Ministry. Inside Venezuela, most military leaders and pro-government armed gangs continue to pledge loyalty to Maduro. 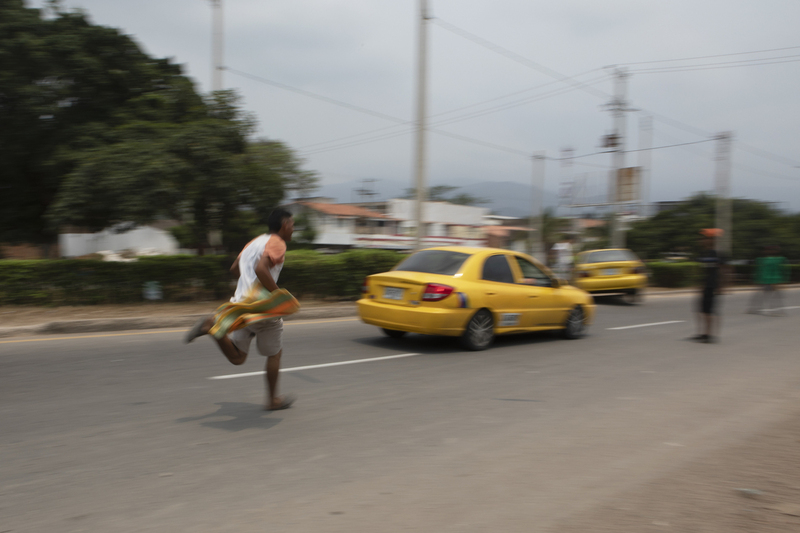 Near the border, young men and women chase after taxis, hoping to get passengers to give them some money to carry their luggage across the border. Emigres who want to return and fight tell NPR their only hope is if they receive help from the U.S. military. While the Trump administration has made threats, U.S. officials have not said publicly they want an invasion. The administration says it is using political, diplomatic and economic pressure to squeeze out the Maduro government, but "all options are on the table." Venezuela's opposition has so far called for its followers to remain peaceful in demanding Maduro's resignation. 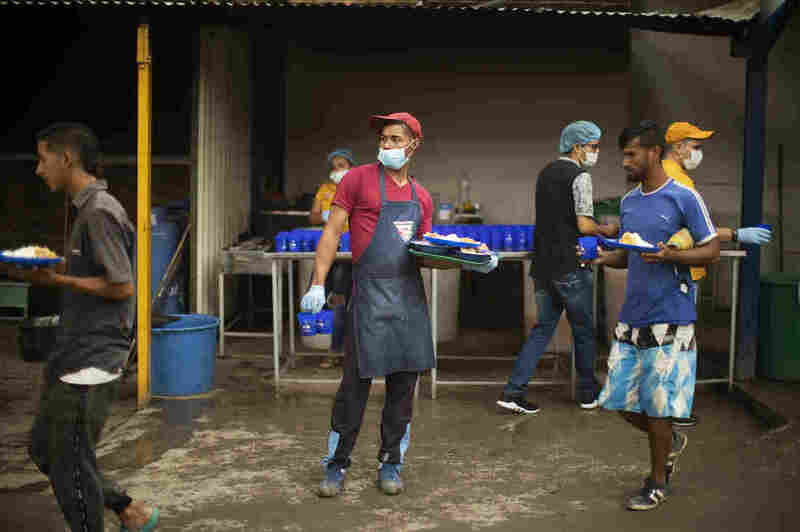 In the Colombian border town of Villa del Rosario, the area surrounding the Simón Bolívar International Bridge is crowded with thousands of people selling everything from cigarettes to medicine to mangoes. Some offer to sell bus tickets. Others offer to buy hair. Last month, the U.S. and Venezuelan opposition leaders staged an operation to carry humanitarian aid into Venezuela. They promised it would land a major blow against Maduro. 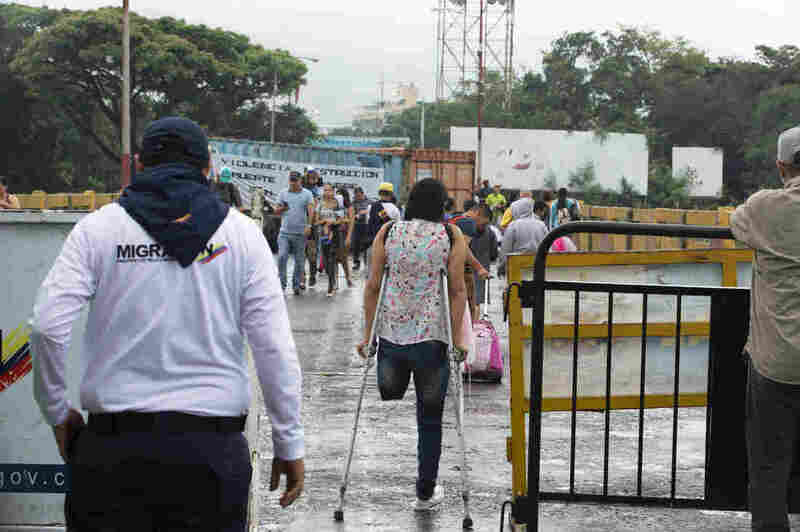 But the move failed, with Venezuelan armed forces and pro-government gangs violently blocking the convoy and some anti-Maduro activists throwing homemade bombs at the security forces. The launch this week of "Operation Freedom" is seen as the opposition's first call to action since that mission's failure. "If all options are exhausted, we will start to see increasing interest in armed insurrection against the Maduro government," says Geoff Ramsey, a Venezuela researcher at the Washington Office on Latin America. "The U.S. arming dissident forces within Venezuelan would be, I think, a complete nightmare." Luis Vargas, a 58-year-old construction worker from just over the Venezuelan border, says people in his home state of Táchira are organizing to confront the government. People file into Casa de Paso Divina Providencia, a Catholic charity kitchen that feeds thousands of Venezuelans in the Colombian border zone. The plates are full of beans and rice, potatoes, eggs and tuna. 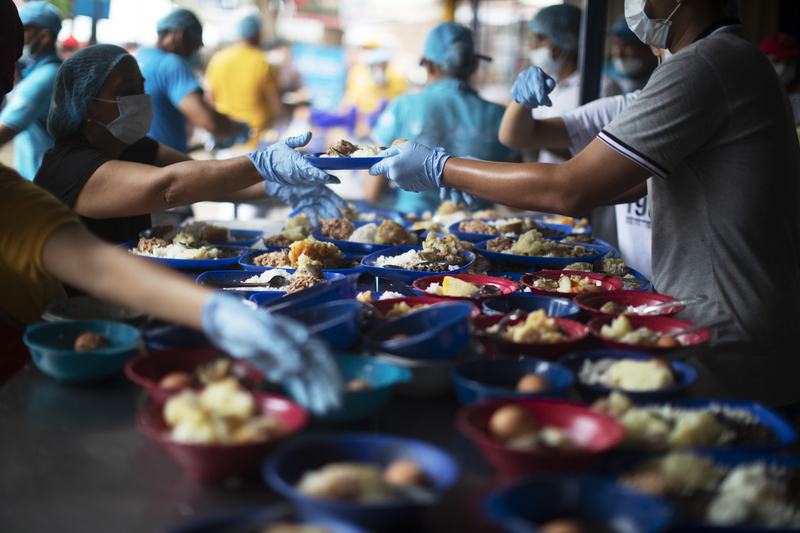 Alexis Rivero, 25, helps distribute meals at the kitchen. "There are arms, but the government doesn't know that the people are armed," he says over lunch at a charity kitchen that feeds thousands of Venezuelans in the Colombian border zone. "We wouldn't want blood in the country, but at times we think that those things would be necessary to get out the government." He says people have no other choice. The Maduro government refuses to abdicate, despite presiding over years of spiraling crisis that has left millions of people like Vargas unable to feed themselves or their families at home. At a nearby table, 72-year-old Ligia Blanco sits holding a cane. She begins to cry when she imagines what lies in store for her native Venezuela. 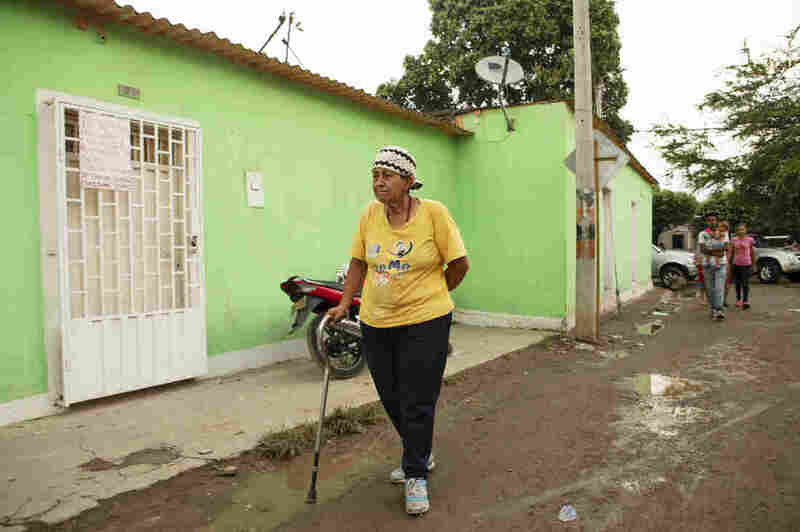 Ligia Blanco, 72, walks with a cane because of a heart operation. She comes to the kitchen to eat because of lack of affordable food in her home country of Venezuela. Blanco says she, too, wants Maduro out. She still lives in Venezuela but walks across the border to this Colombian charity kitchen for meals. She fears that Venezuela's problems would get much worse before they get better, especially if foreign powers invade. "I don't even know what to think about it," she says through tears. "People say they're going to come launching bombs and it will go like when they killed Gadhafi and the Arabs." "It's the people who will suffer," she says. The Simón Bolívar International Bridge connects Colombia to Venezuela. For the past month it has been closed to vehicles and to most foot traffic. Venezuela's population is suffering from deep hunger and disease amid hyperinflation and shortages of food, medicine and other supplies. The United Nations Refugee Agency says 3.4 million people have fled Venezuela, overwhelming Colombia and other countries of the region. 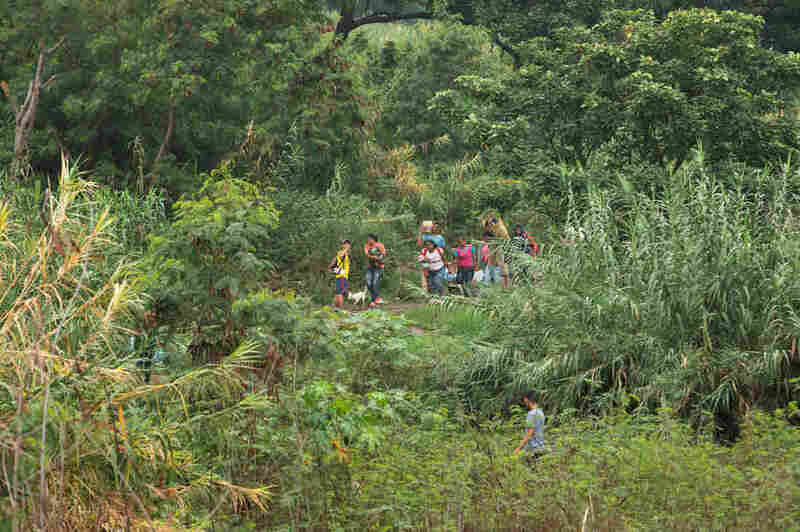 The agency estimated that last year 5,000 Venezuelans were moving into Colombia each day. Colombian towns have struggled to cope. Pepe Ruíz Paredes, mayor of the Colombian town of Villa del Rosario, said local authorities have tried to swiftly suppress outbreaks of violence at protests along the border. Pepe Ruíz Paredes, the mayor of Villa del Rosario, says local authorities have tried to swiftly suppress outbreaks of violence at protests along the border. He vows not to allow Venezuelan security force deserters to stir up more trouble in his region. "If they want to present some kind of military pressure, they'll have to do it in Caracas. We are very far away," he says. 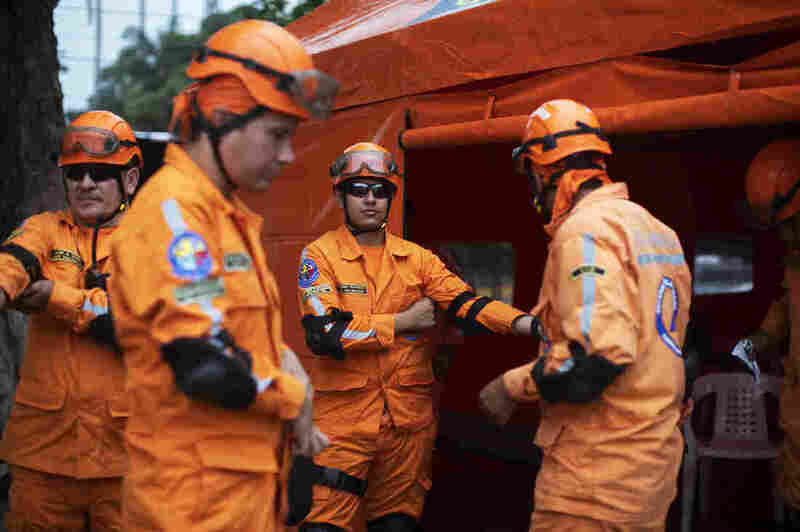 The Colombian Foreign Ministry said the former security forces are in the custody of Colombian authorities. 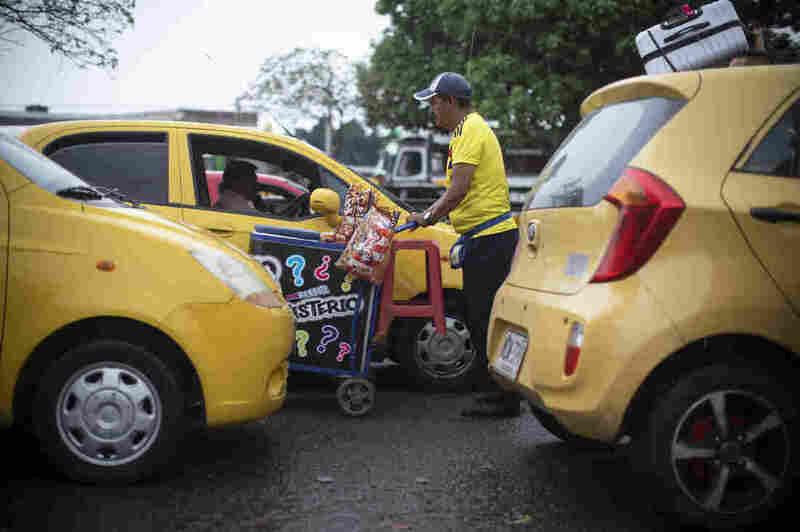 A man sell snacks in traffic in the border town of Villa del Rosario, near the Simón Bolívar bridge. That hasn't stopped Cancino and his companions from posting social media videos calling for people to take up arms, or urging opposition leaders to issue orders for a confrontation. If no politician supports their cause, they say, they will have to act on their own, in whatever way they can. "We'll do everything possible so that innocent people don't fall," Cancino says. 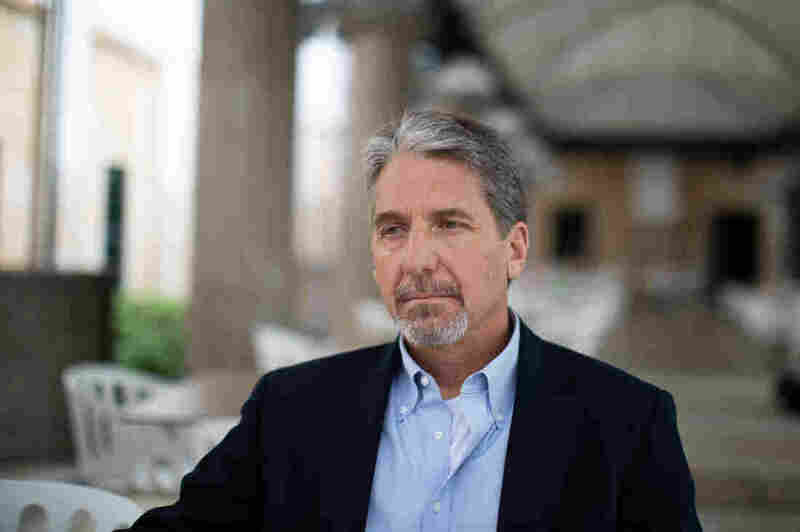 "There will always be collateral damage in war." 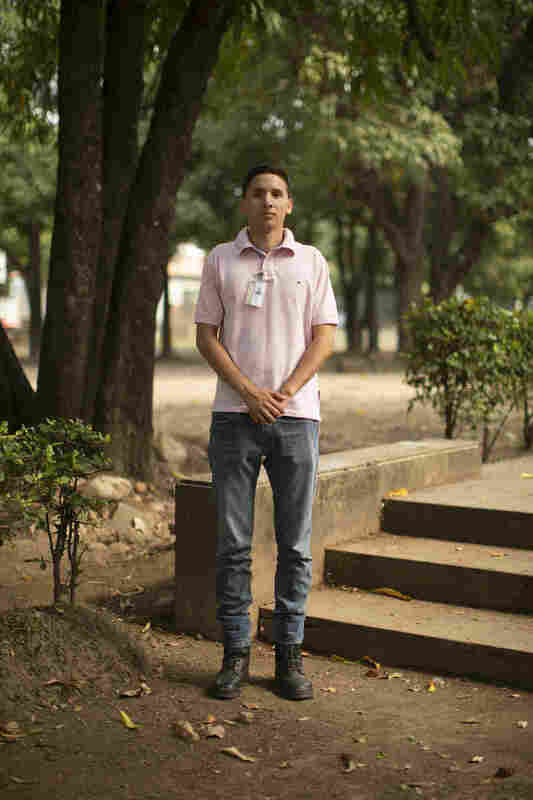 Rojas Tapias, 19, defected from the Venezuelan military and is now living in Colombia. Fellow defector, Williams Cancino, says more than 200 other former Venezuelan forces are cooped up in a hotel in Villa del Rosario. All Things Considered producers Christina Cala and Matt Ozug co-reported this story from the field. The audio story was edited and produced by Sam Gringlas and Selena Simmons-Duffin.